3) Channels: How do you deliver your solution to each of your customer segment. This includes the company’s marketing and distribution strategy. 4) Customer Relationship: The links you establish with your different customer segments to get, keep and grow your customer base. The process of managing customer relationships is referred to as customer relationship management. 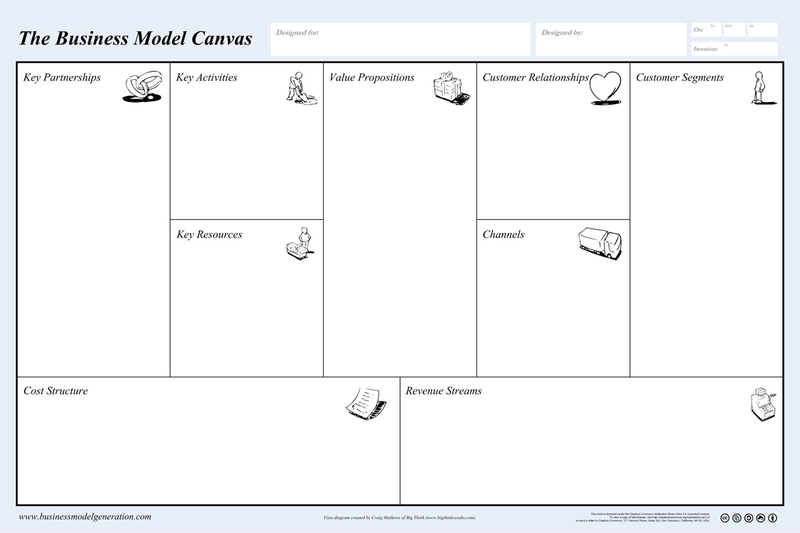 The Business Model Canvas can be used by individuals or in groups where people can jointly discuss business model elements with post-it notes. It is distributed under a Creative Commons license from Strategyzer AG and can be used without any restrictions for modeling businesses. The Business Model Canvas is also available in a web-app format.